We are one of the leading manufacturers of Kaftans to our highly honoured clients. 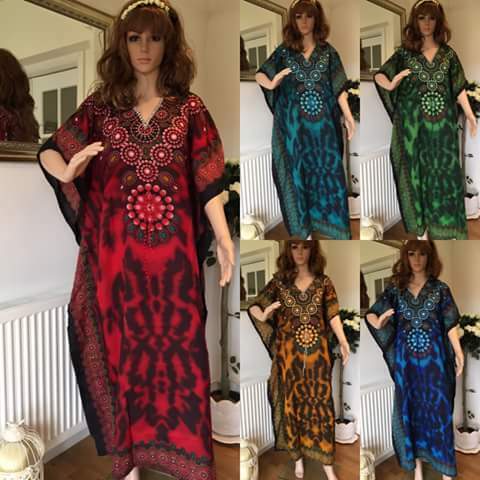 They are available in a range of Cotton Kaftan, Georgette Kaftan, etc. in different designs, sizes and colors providing options to choose from. They can be worn with various types of bottoms depending upon the clientsÃ¢ÂÂ choices. Finest of material is used in their making at our unit as per the industrial prevailing trends and requirements. We strive to deliver Kaftans within a stipulated time frame.